Every moment counts when you are headed to the hospital. From separate entrances for emergency vehicles to clear signage, all paths and parking lots need to be properly marked for easy navigation. Even in non emergency situations, it is likely for hospital visitors to be distracted as they pull into the parking lot. Indiana Barrier Co. was called upon to produce and deliver parking bumpers to four hospitals in Indianapolis. It was our job to provide long-lasting parking bumpers to improve the safety in the hospital parking lots. The bumpers (or curb stops) do more than just help drivers know where to park. They also protect pedestrians who are likely to be just as distracted as they rush from their cars into the hospital. We created 142 flat parking bumpers to mark parking spots and 100 drain parking bumpers to decrease water build-up and puddles within the parking lot. 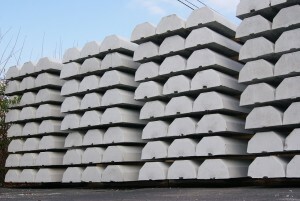 Theses bumpers are built to stand the test of time, reinforced with the unique placement of steel rebar. They are cast with holes for steel anchor pins to insure each bumper remains firmly in the ground once installed. Working with the primary contractor we managed delivery schedule of the precast concrete barriers to each hospital location to ensure the projects were completed on time. Each of the hospitals now has long-lasting, durable parking bumpers to keep medical staff, patients and visitors safe in the parking lots surrounding the hospital. Have a parking lot that could use a little TLC? Check out our products page to see what we can do for you. 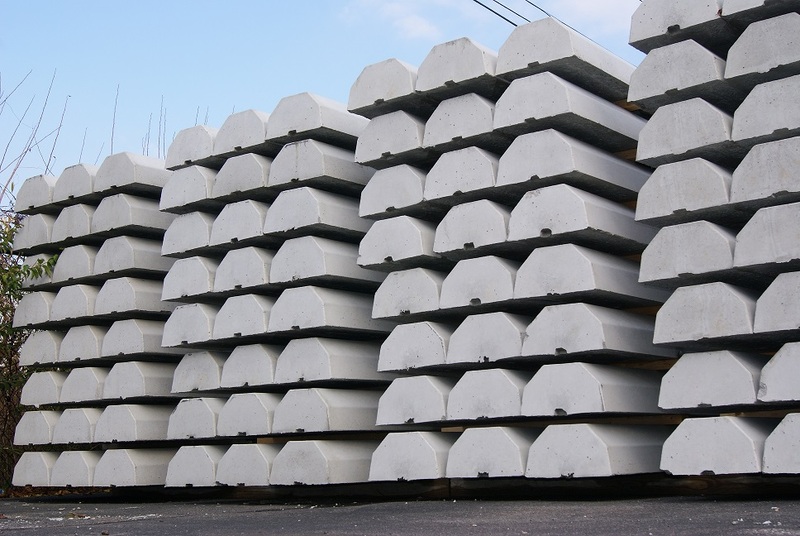 Indiana Barrier Company is a manufacturer, supplier, and installer of precast concrete parking bumpers. We serve the central Indiana region and beyond from our conveniently located production facility on the south side of Indianapolis. Our customers include general contractors, paving contractors, property managers, and logistics companies.